Before you enter, please make sure you have read the competition terms and conditions. There will be one winner: the winner will receive 4 free tickets to ZSL London or Whipsnade Zoos, which will be sent by email or post to a UK address. Your prize must be claimed by 30 October 2018. By entering the prize draw each entrant agrees to be bound by these terms and conditions as well as ZSL’s General Terms. Prizes are non-transferable, and a cash alternative is not available. ZSL reserves the right to terminate, amend or extend this promotion without incurring liability, in the event circumstances affect its ability to operate the competition. We will not be responsible unless required by law, for any loss, changes, costs or expenses, which may arise in connection with this competition and we can cancel or alter the competition at any stage. The Student Zoo Tickets competition invites people to enter the competition on tablets at Freshers’ Fairs at London universities. The competition is owned by the Zoological Society of London [ZSL], a charity dedicated to the protection of animals and their habitats. It is the responsibility of each entrant to ensure they have read and obeyed the competition rules set out below. By submitting an entry, each entrant agrees to the competition rules and digital guidelines, and that that their entry complies with ZSL’s requirements. Any entry found not to comply with the competition rules will be disqualified. The decision of ZSL on all matters relating to the competition is final and binding. No negotiation will be considered and prizes are non-transferrable. The competition is only open to adults aged 18 years or over. Entrants enter by providing their details on a tablet survey at their university Freshers’ Fair. 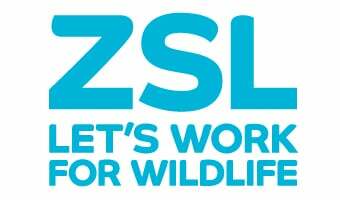 The competition is not open to ZSL employees, volunteers and their relatives. Only one entry will be accepted per person. If you enter multiple times, ZSL will count this as one entry. Entries must be posted before midnight on Tuesday 2nd October 2018. Each entry must contain an email address. The winner will be chosen at random from all eligible entries and will be contacted via email with information on how to claim. If, after two attempts we still haven’t had a response from a winner, a new winner will be picked. The winner will be announced on Friday 5th October 2018. Each entry must be the original work of the entrant and must not infringe the rights of any other party. Proof of electronic submission is not proof of receipt by ZSL. By entering the competition each entrant agrees that any personal information provided by you with your competition entry may be held and used by ZSL only for the purpose of administering the competition and only for the duration of the competition.